POKHARA, Nov 12: Tourism entrepreneurs in Pokhara are concerned with the inflow of more budget tourists who ‘haggle’ too much, together with shortening stay of tourists in the top tourist destination of the country in recent years. To their dismay, high-end tourists are visiting in less numbers these days. The three-month period from September to November used to be known as the peak tourist season in the past, which has now shrunk to just around a month, according to entrepreneurs. Besides, cutthroat competition due to growing number of service providers is another matter of concern for the entrepreneurs. 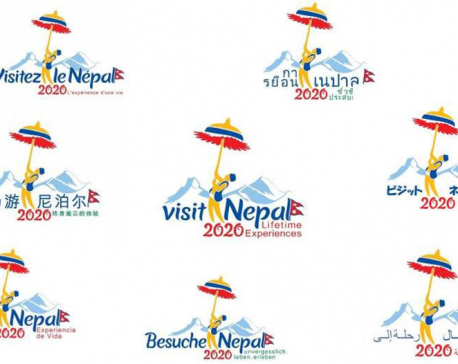 Agni Kandel, member of Nepal Tourism Board (NTB) said that the number of high-end tourists travelling to Nepal has declined compared to the previous years. “These days most of the foreign tourists haggle for almost everything. From accommodation to shopping, they bargain and try to wrap up their tour with minimal spending,” Kandel said. European and American tourists are spendthrift while tourists coming from other countries are budget tourists, according to entrepreneurs. Although the number of domestic tourists increased in this festive season of Dashain and Tihar, the number of foreign tourists disappointed the entrepreneurs, he added. “Most of the entrepreneurs are not happy with the number of foreign tourist arrivals in Pokhara,” he said. Dipak Raj Adhikari, former president of Paschimancal Regional Association of Trekking Agencies’ Association of Nepal (TAAN) also said that entrepreneurs are not happy with the seasonal business this year. 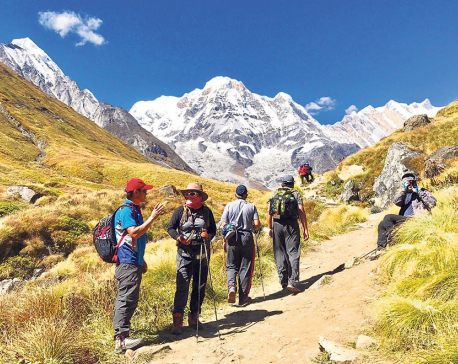 “This is the best time to earn from trekkers, however in recent years our earning is depleting,” he said. “The charm of tourist season has not remained the same. 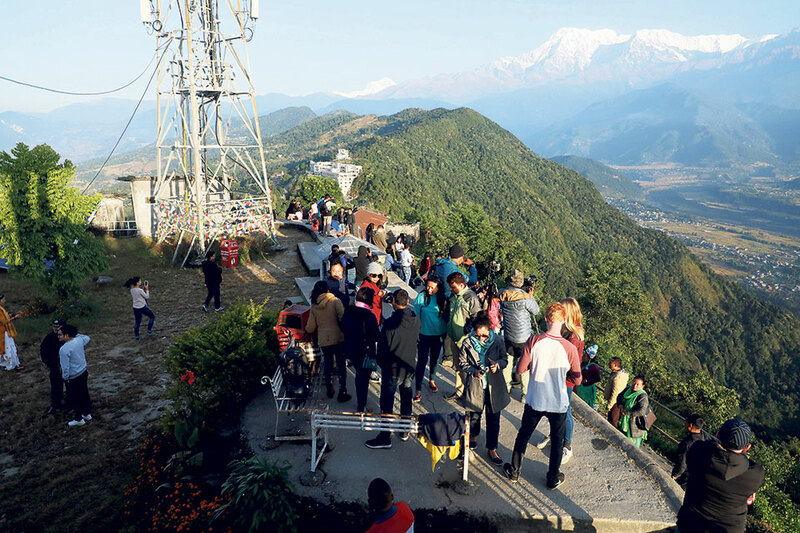 The tourist season that spanned three months from September to November has now shrunk from mid-October to mid-November,” said Vikal Tulachan, president of Paschimanchal Hotel Association. Tulachan was also concerned due to the shortening length of stay of tourists. “Tourists used to stay in Pokhara for a few days after getting back from their trek, but now they return to Kathmandu on the same day upon returning from the trek,” he told Republica. Moreover, building of motorways along the foot trails has also shortened tourists’ stay in Pokhara and surrounding areas. Entrepreneurs rely more on domestic tourists these days. Moreover, their foreign tourists’ expenses are also decreasing due to growing exchange rate of American dollar. According to Thapaliya, the rate of tourist arrivals in Nepal is growing by approximately 20 percent. He further stated that selling natural resources was not enough to attract tourists. “We need to develop and promote a variety of activities for tourists in the international market,” he added.